At Top Notch Events, picnics are our passion. 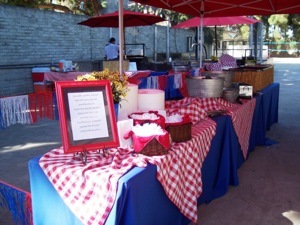 We have successfully planned and hosted company picnics for some of the largest and most respected companies in Southern California since 1996. Each picnic package that we offer is carefully designed with one goal in mind: to give every guest a magical experience. We offer a quality that cannot be matched and an attention to every detail of your event. 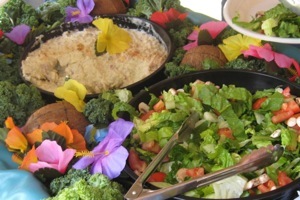 Your picnic package includes a fabulous picnic presentation, a mouth-watering picnic buffet complete with barbeque foods that are prepared fresh on site by our talented chefs and culinary team. Our professional event staff will welcome your guests to a day of unmatched fun, food and lots of laughter. Your picnic emcee will have your guests involved in traditional picnic games and activities as well as competing in teambuilding activities throughout the day. Your guests will leave with high-quality prizes and memories to talk about all year long. 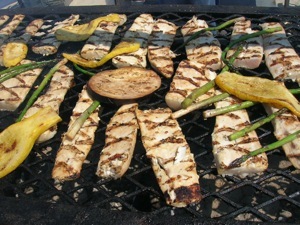 Let Top Notch Events take all the worry out of planning your next company picnic. Contact one of our friendly Picnic Specialists today. We look forward to working with you and providing you with a Top Notch event.